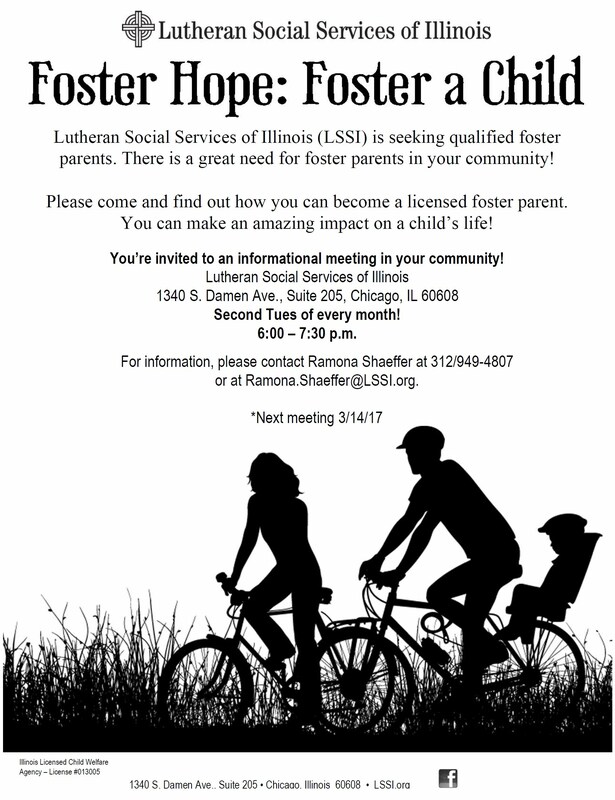 Lutheran Social Services of Illinois (LSSI) is seeking qualified foster parents. There is a great need for forster parents in your community! The next Meeting is scheduled for: March 14, 2017.